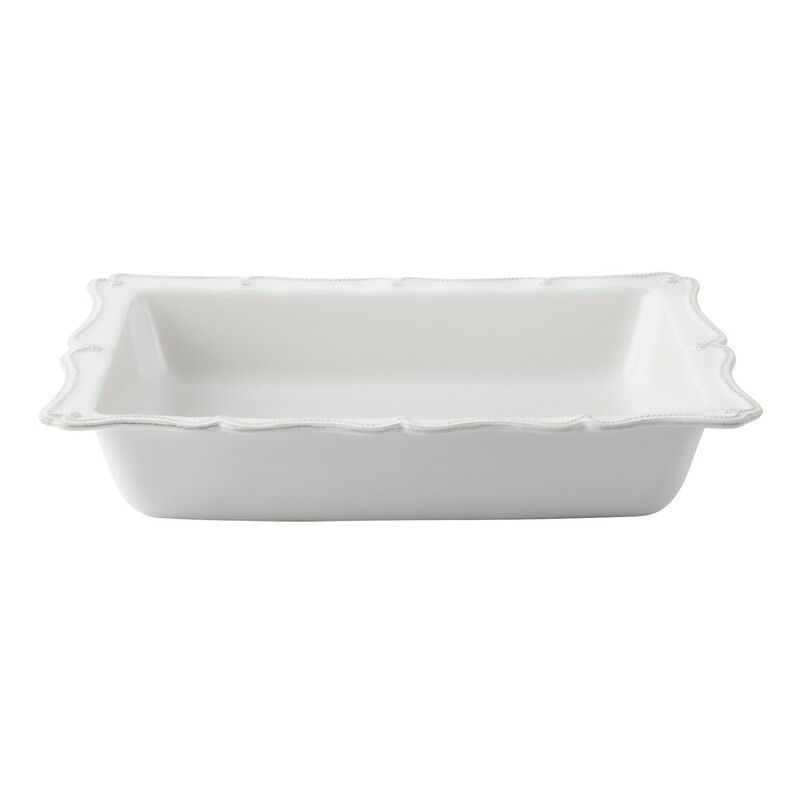 From The Berry & Thread Collection- With a scalloped edge reminiscent of a ruffled apron, this oversized baking dish is perfect for beloved holiday recipes and for feeding a crowd. 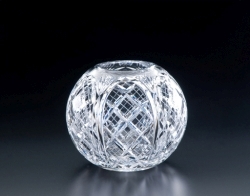 Makes a lovely gift for anyone who entertains. 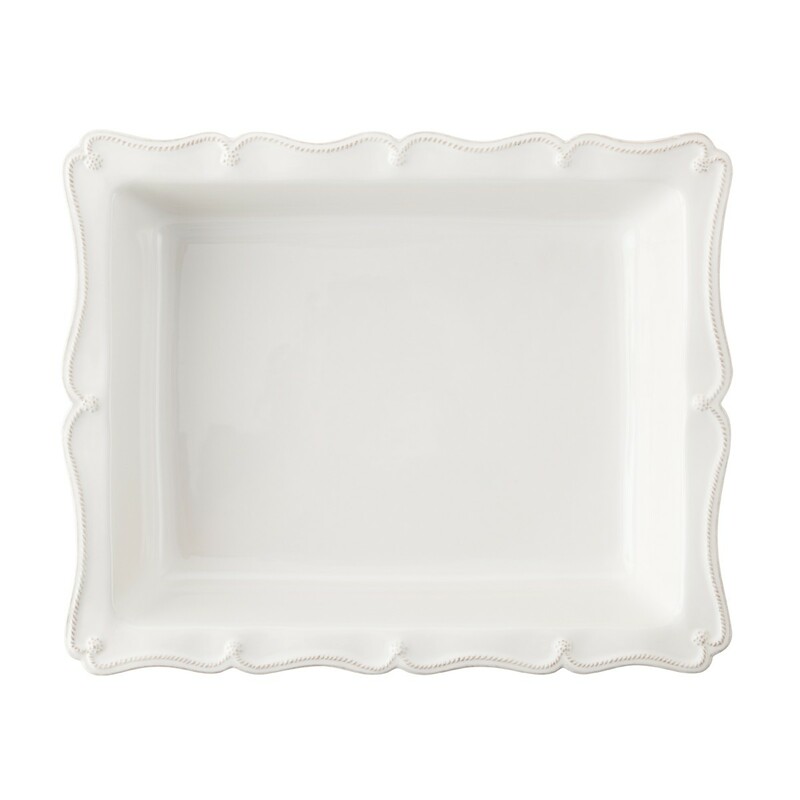 The ceramic stoneware is made in Portugal and is oven, microwave, dishwasher and freezer safe.